Are you interested in considering your next vacation in Bali? If you are, you are not alone. Each year, a large number of travelers from all over the planet make the decision to travel to island of Bali. Bali, an isle idyllic is one of the most well-known island destination in the world probably doesn’t need an intro. Its name is a synonym for paradise, if not blissful exile. Here you will be able to have a lot of pleasure and of course some fabulous retreat. Bali vacations are attainable for every types of person of all ages. While many enjoy taking their family on a Bali holiday, there are others who prefer to vacation in Bali alone with their special partner. Whilst in Bali, you will surely have to choose to stay in an accommodation that is suitable with your holiday tastes and budget. Bali has a vast range of accommodation to choose from, ranging from luxury villas hotels to budget homestays. Bali’s luxury resorts & villas are amidst the most suitable in the planet and ability superb service. 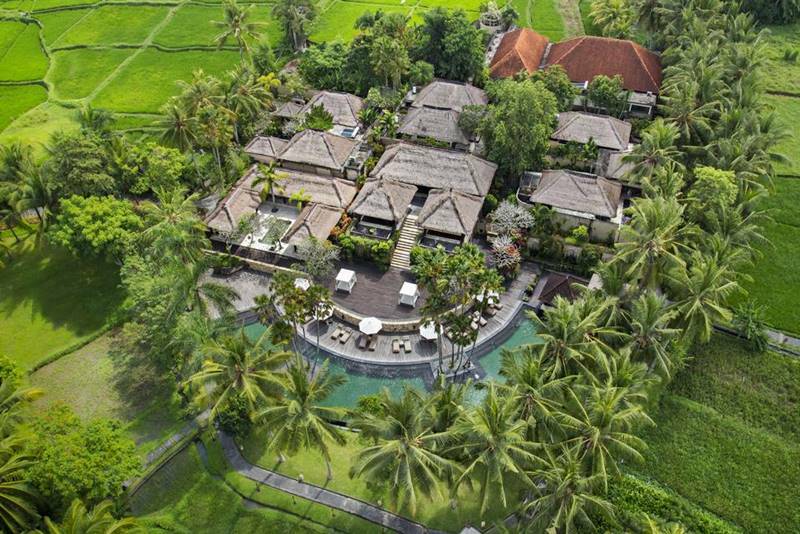 Apart from the five stars hotels, there are also various Bali villas or boutique properties, where the wealthy people (and sometimes famous) escape, especially in Ubud area. Ubud is a picturesque township and travelers have been excited by its charisma and magnificence for decades. Ubud village is regarded as the center of art and culture in the heart of Bali. So, if you are the type of person who loves art, or just want to experience perfect relaxation and total privacy, then stay in Ubud resort or villa is the suitable choice. As the wide choice can be confusing, especially for the first-time tourists and it’s sometimes not easy for you to pick the right Ubud accommodation. 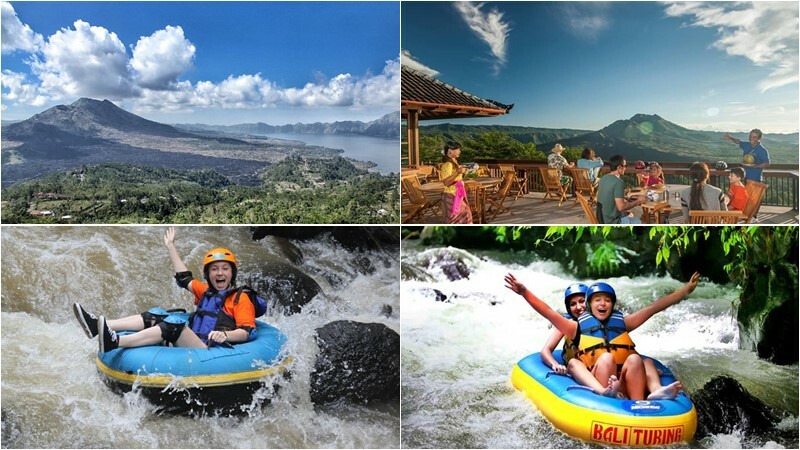 So just let your Bali tour operator knows your personal needs that he will be able to provide several choices of resort recommendations which he thinks are the most suitable for you. 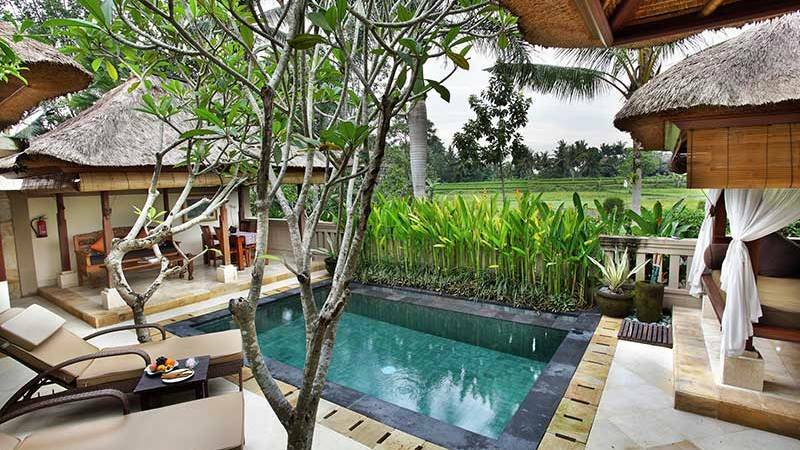 Below is an overview of two of the top recommended villa resorts found in Ubud. This villa resort is established at Jalan Sweta, Ubud about 3 minutes by car from the heart of Ubud. Wapa di Ume Resort offers very peaceful ambiance and situated within lush tropical garden and surrounded by a green terraces rice field. Enjoy the calm atmosphere in real countryside. This supremely private boutique villas, lies on the immature rice field, providing an astonishing scenic with vibrant of nature, which may distribute spiritually harmony in your soul. It is uniquely situated on the hillside of Pengosekan, Ubud and reachable from both central Ubud & Ubud main market around 5 minutes only. The resort offers completely unique blend of distinctive Balinese decoration and emphasizing total privacy and full service. 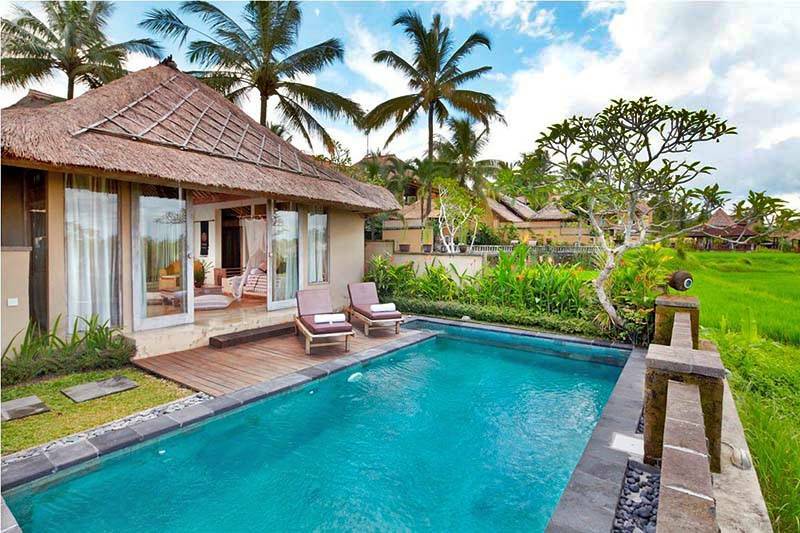 The above mentioned villa resorts are just a few of the many that can be established in Ubud. You may want to suppose obtaining feedback from colleagues, kin, or coworkers who in recent times vacationed at an Ubud villa and resort. In addition to asking those that you familiar, you can easily read online reviews posted by travelers. While analytic and researching various villa resorts may seem like a time consuming process, you may find good result in the end. Taking the time to decide the great villa resort in Ubud is the best way to make sure that you will enjoy your Bali traveling. So, if you are interested in Bali vacation, you need to consider Ubud village as your place to stay. Then, if you need Bali driver for your activities, please contact us via WhatsApp +62 878 6196 8073.